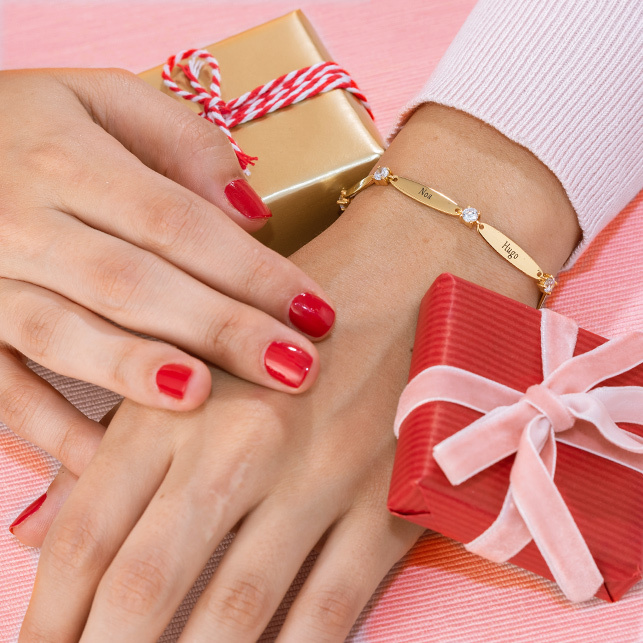 Heart jewellery is the perfect way to express your affection for someone you love. Our Heart Necklace in Gold Plated with Birthstones is extra-special, thanks to a bold, beautiful design and some loving touches you add yourself. 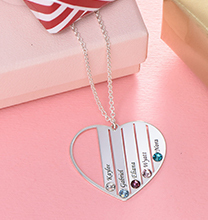 Our designers did an amazing job with this piece, creating a stunning heart within heart pendant to represent the special bond between a couple, a parent and child, or a grandparent and child. It’s versatile in so many ways, including its ability to take the wearer from day to night and weekday to weekend while offering effortless, graceful beauty and complementing her skin tone perfectly. 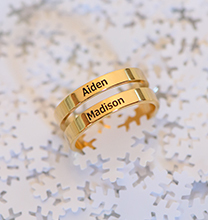 Offering the luxurious glow of gold, this lovely pendant is embellished with two names or words of your choice, which are positioned along the lower edge of each side of the outer heart. A pair of birthstones provide a stunning touch of sparkle from within the pendant’s inner heart, lending the perfect finishing touch. 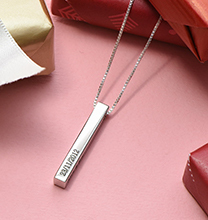 Whether this necklace is for mum, grandma, or the one who holds your heart in her hands, it is certain to be a favourite – whether you add names or words that describe the bond you share! 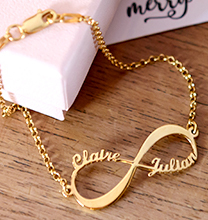 This beautiful necklace is made with 18ct Gold Plated Sterling Silver (0.025). The pendant hangs from a matching Gold Plated Bead Chain, which adds even more appeal to the overall appearance. 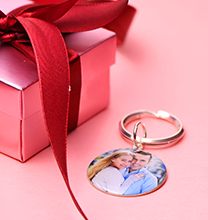 We invite you to view our engraved couple necklace collection for additional options, including this exquisite style in your choice of Sterling Silver or 18ct Rose Gold Plated.